The Araceae is the family of plants including such widely-grown species such as calla lilies and taro. Among other things, the family is famous for including some of the largest floral structures in the world. What is perhaps less widely appreciated is that it also includes some of the smallest and also some of the strangest flowering plants of all*. 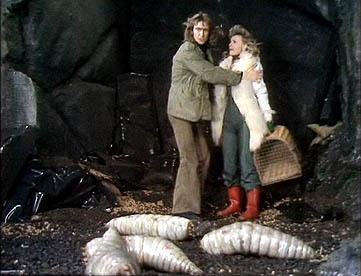 *The very strangest flowering plants are the Podostemoideae, but I'll save them for another day. Wolffia arrhiza, one of the world's smallest flowering plants. Each separate dot is an individual plant. Photo by Christian Fischer. 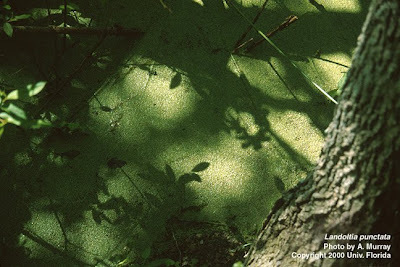 Duckweeds are the minute plant that can be found growing in large numbers on many still bodies of water. The main body of the plant is a flattened, often oval thallus (not a leaf but rather a highly reduced and fused leaf and stem). In three of the recognised genera of duckweeds, Lemna, Spirodela and Landoltia (the 'Lemneae'), one or more short roots emerge from one end of the thallus (the proximal end). In the other two genera, Wolffia and Wolffiella (the Wolffieae), the thallus lack roots. The vascular system is greatly reduced in 'Lemneae' and almost entirely absent in Wolffieae. Much of the thallus is occupied by gas-filled spaces that keep it buoyant (Hillman, 1961). The proximal end of the thallus also bears pockets on the underside from which daughter thalli grow vegetatively or in which the flower develops. The 'Lemneae' possess two such pockets, one on each side, while the Wolffieae possess only a single pocket. The entire plant is generally less than five millimetres (the size reached by Landoltia punctata) while Wolffia individuals are less than half a millimetre long when mature. Phylogenetic analysis indicates that the 'Lemneae' are paraphyletic; Lemna, which is smaller than Spirodela and Landoltia with only a single rooth per thallus, is sister to the even more reduced Wolffieae (Les et al., 2002). Spirodela (large thalli), Lemna (smaller thalli) and Wolffia (minute thalli). Photo by G. D. Carr. The flowers of duckweed are correspondingly tiny and many species produce them only rarely with vegetative reproduction being the primary means of multiplication (Hillman, 1961). Daughter thalli may begin producing their own daughters before separating from the parent, leading to the production of small colonies. 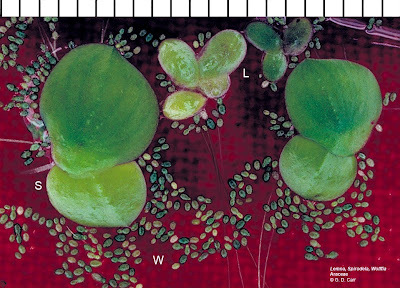 Individuals of the double-pocketed 'Lemneae' demonstrate 'handedness' in their growth; in a new thallus grown from seed, either the right- or left-hand pocket may be the 'plus' pocket from which the first daughter thallus grows, but all successive vegetatively produced thalli will grow their own first daughter thallus on the same side as their parent did. If a flower is produced (and each individual thallus will only ever flower once) then it will always grow on the other side in the 'minus' pocket. It is a bit of an open (and somewhat academic) question whether duckweeds produce a single hermaphroditic flower or separate male and female flowers, as there are no petals or sepals, but the important detail is that a thallus produces a single pistil and one to three stamens (usually two in 'Lemneae', only ever one in Wolffieae; Wolffieae also only possess a single ovule while 'Lemneae' may possess up to six) which project above the surface of the thallus. The pistil matures before the stamens but may remain receptive until after the stamens open so at least some duckweeds are capable of self-pollination. The exact mode of pollen transport is uncertain: pollen may be carried by wind or water but transport by small insects has also been proposed. 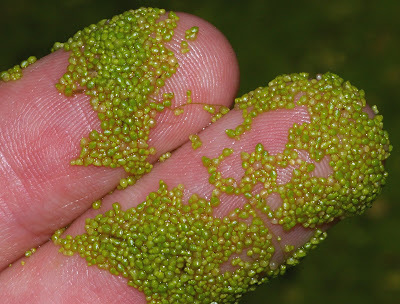 Seeds are capable of surviving periods of drying out; many species of duckweed are also capable of producing a dormant form called a turion, a modified, thicker thallus that lacks the air spaces of a normal thallus and possesses a dense load of starch grains instead. Thick growth of Landoltia punctata. Photo by A. Murray. Though most authors have regarded them as a separate family, the Lemnaceae, a relationship between duckweeds and Araceae has been popular since the 1800s. The main connecting link has been through comparison with the floating aroid Pistia stratiotes which resembles duckweed both in its general lifestyle and in the production of its flowers in basal pockets. Some authors have even proposed including Pistia in the Lemnaceae and the Palaeocene fossil plant Limnobiophyllum (with reduced floating rosettes) has been suggested as a morphological link between the two (Stockey et al., 1997). Molecular studies, while supporting a nested position for duckweeds within Araceae (which is why I refer to them as subfamily Lemnoideae), have not supported a direct relationship between duckweeds and Pistia (Rothwell et al., 2004); however, duckweeds show much greater branch lengths than other Araceae. Hillman, W. S. 1961. 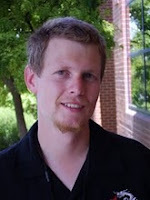 The Lemnaceae, or duckweeds: a review of the descriptive and experimental literature. Botanical Review 27 (2): 221-287. Les, D. H., D. J. Crawford, E. Landolt, J. D. Gabel & R. T. Kimball. 2002. Phylogeny and systematics of Lemnaceae, the duckweed family. Systematic Botany 27 (2): 221-240. Rothwell, G. W., M. R. Van Atta, H. E. Ballard Jr & R. A. Stockey. 2004. Molecular phylogenetic relationships among Lemnaceae and Araceae using the chloroplast trnL–trnF intergenic spacer. Molecular Phylogenetics and Evolution 30 (2): 378-385. Stockey, R. A., G. L. Hoffman & G. W. Rothwell. 1997. The fossil monocot Limnobiophyllum scutatum: resolving the phylogeny of Lemnaceae. American Journal of Botany 84 (3): 355-368. I seem to recall that as a crop, duckweed is high-protein and has great productivity.